Characteristics: The flesh is yellowish, sof. Somewhat dry and spicy. Characteristics: The flesh is greenish, firm. Very sharp. 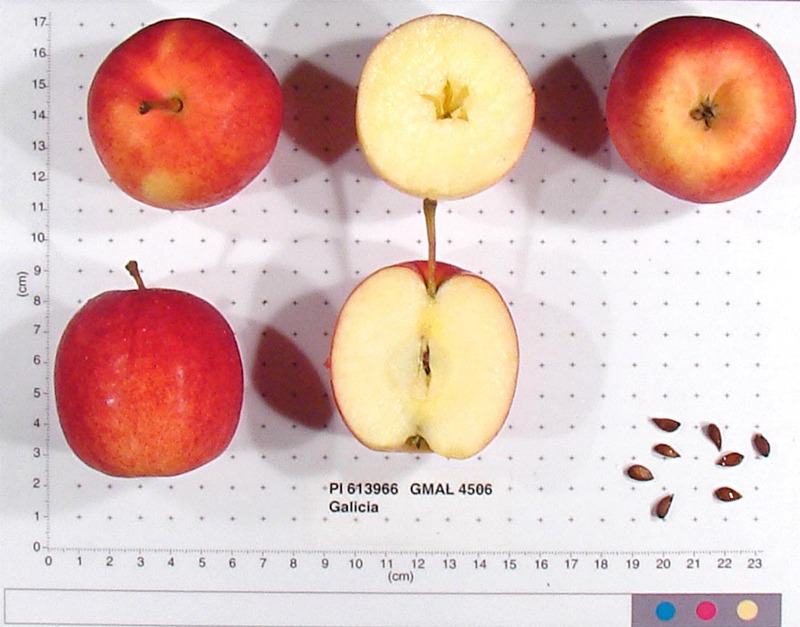 Origins: This is as yet non?trademarked variety is an early apple that is a hybrid of ÔJerseymacÕ x ÔGala.Õ ÔGalmacÕ is a product of the Swiss breeding program. 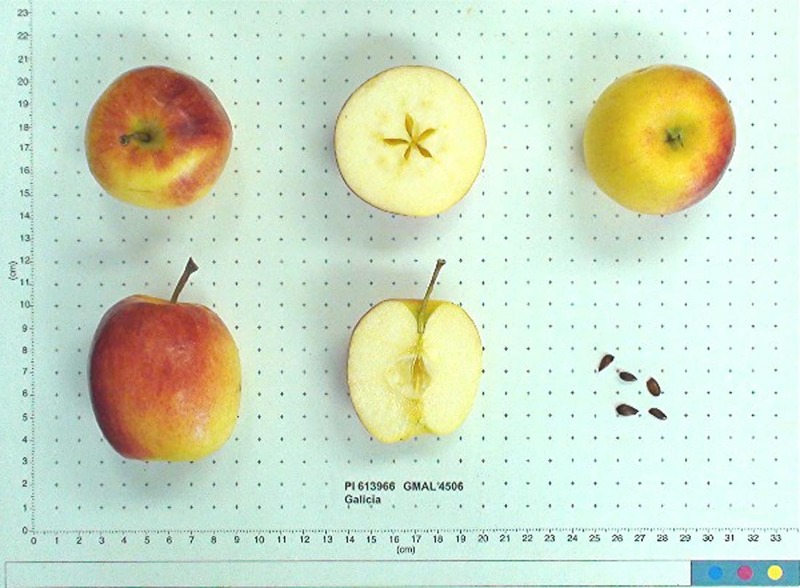 Characteristics: The flesh is pale yellowish, somewhat soft. Juicy, sharp with a lemony aroma. Keeps three months in cold storage. Characteristics: The flesh is yellowish, firm. Juicy, moderately sweet, aromatic. Keeps ups to five months in cold storage. Characteristics: Flesh is creamy white, firm, coarse textured, crisp and juicy. Brisk and reminiscent of white wine. Keeps for two months in cold storage. Characteristics: The flesh is white, crunchy and firm. Sweet tart and aromatic. Characteristics: The flesh is ????????? and soft. Sweet. Keeps two months in cold storage but tends to deteriorate fairly quickly thereafter. Characteristics: The flesh is pale greenish and soft. Juicy and sweet. Keeps ???????????? months in cold storage. Characteristics: The flesh is yellowish, fine grained and tender, crisp and juicy with a briskness. Characteristics: The flesh is greenish yellow, crisp. Juicy and very sweet. Characteristics: The flesh is white with tinges of yellow. Firm, crisp and moderately juicy. Tangy. Keeps up to four months in storage.